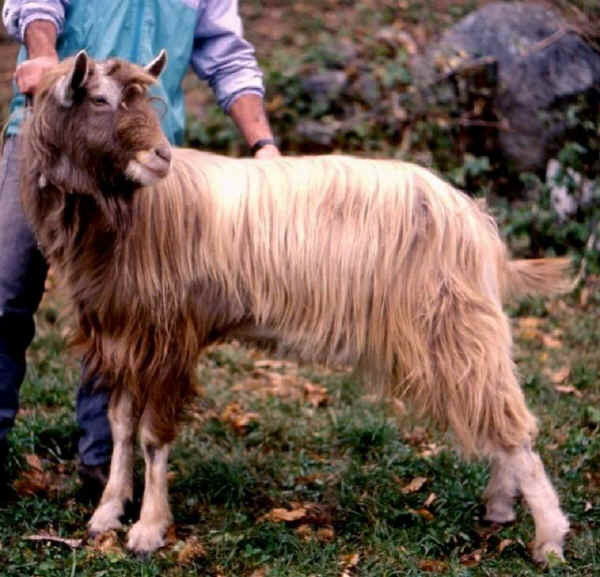 The Bionda goat has been the most successful breed recently in terms of numerical growth (rising from 100 in 1995 to 4,500 in 2007). The highest concentration of breeders and goats is certainly found in the Valle Camonica (Province of Brescia, Lombardy) and especially in the Valle Savoire (one of the Adamello's points of entry to the massif). It was right here in this small valley, at the beginning of the last century, that this breed started up before spreading to the surrounding valleys. Today, following a long period of crisis lasting from the 1950s to the 1980s, during which it risked extinction, the Bionda goat is being bred in four provinces of the Lombardy Region (Brescia, Lecco, Bergamo and Como) and in Trentino. The most suitable and most commonly used type of farming for this breed is a traditional-pastoral one: animals are kept in sheds, some still made of stone, in the valley bottoms from November to March. This is the time for gestation, birth and care of the kids. Then during the spring and summer months they are taken to graze up to an altitude of 2,500 m above sea level when the weather is good. This breed's appearance is notable mainly for its hair and coat. The former should be fine and long over the whole body. The coat should be light brown (known as "blond" locally) with regular patches of white on the head, legs, rear and ventral areas. Farming of the Bionda goat provides both milk for making cheese, and meat which comes from the slaughter of kids and also animals at the end of their career. The two typical cheeses produced are Fatulì and Mascarpì. The first is cheese is smoked, while the second is a kind of ricotta. This animal produces on average 350 kg of milk and is in line with the pastoral farming system.